I’m going to the Gluten Free & Allergen Friendly Expo! 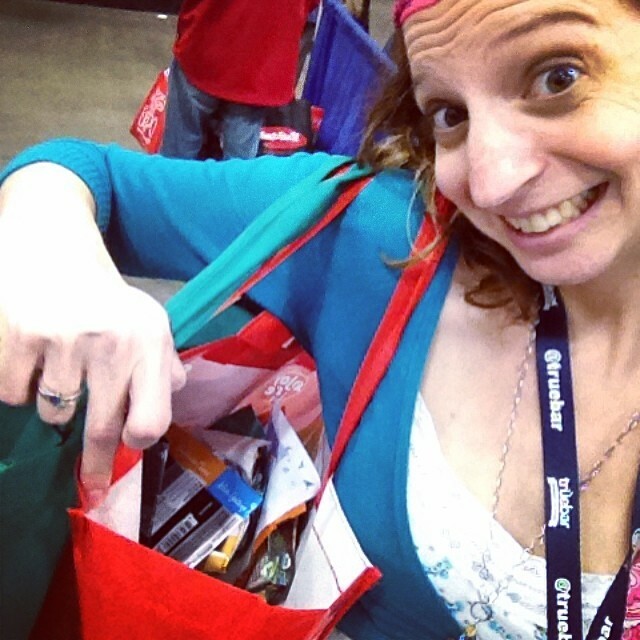 Last year I went to the Gluten Free & Allergen Friendly Expo and it was AMAZING!! I learned about so many new foods that I could eat, and I was able to sample a ton and buy a bunch! By the end of the expo, my friends and I were carrying LOTS of goodies! Can you see my excitement in this picture? So I’m excited to be going again, AND to be part of the blogging team! I can’t wait to see what new foods I’ll learn about this year. I was just telling a friend the other day that I need some new flavor in my life! Cooking gluten free is a challenge for me and I’m really good at getting into the habit of eating the same things over and over. And over and over. Because it’s easier. I need variety, and so does my family! I have some good news for you! I have some tickets to give away! To enter, leave me a comment telling me your favorite gluten free goodie- it can be salty or sweet! And, if you need to buy a ticket, you can get a year of Delight Gluten Free magazine FREE if you buy through my link! (Disclosure: I do earn money for each ticket purchased) And, if you order your ticket before April 1, you can get 30% off (code EARLYBIRD)! Before May 1, you get 20% off (code ADVANCE)! The event is May 2-3 and it’s in Schaumburg, IL. You can follow along for updates on Facebook, Twitter and Instagram! Disclosure: I received free admission to this event as part of the blogger program. I also earn money for every ticket bought through my link. Using Random.org, your comment was chosen for the third free ticket! We love living gluten free and being Celiac!! Using Random.org, your comment was chosen for the first free ticket! Using Random.org, your comment was chosen for the second free ticket! My favorite gluten free food is Pamela’s Gluten Free Chocolate cake mix. It’s so yummy!